How to Choose the Perfect Piano Teacher for a Beginner. 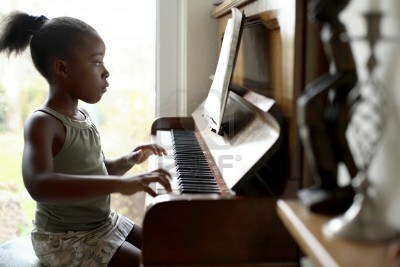 Choosing a piano teacher when you’re a beginning piano student sets the foundation of where you can go. https://simplypianostudio.com/wp-content/uploads/2016/08/SimplyPianoLogo_Large-300x90.jpg 0 0 andrea https://simplypianostudio.com/wp-content/uploads/2016/08/SimplyPianoLogo_Large-300x90.jpg andrea2017-06-19 21:36:142017-06-19 21:36:14How to Choose the Perfect Piano Teacher for a Beginner. How to choose the perfect piano teacher for a beginner! When choosing a piano teacher the most important thing is the teachers connection with you! Do they inspire, do they love what they do. This has a direct connection to you. The degree is somewhat important but not really important. Inspiration is far more valuable. The teacher see’s the value of what studying piano can do in the student’s life. Ask the teacher to play for you. If the teacher plays with ease and makes it look easy, that is the one you want! They will give you the skills from the ground up which is incredibly important. If the foundation is strong, nothing is impossible as the years go by. I was not so fortunate. 10 years of bad instruction and then another 10ish years to fix it! YUK! Does this teacher only teach the same pieces to everyone. Very important question. We’re not all the same so the approach shouldn’t be. Just like we don’t like all the same food, why should we play the same thing. If the teacher talks about the fingers first, this is not a good sign. One should understand it starts with understanding the arm. The entire arm, from the collarbone down. If the teacher talks about the notes a lot..this is also not a good sign. This is not rocket science….ABCDEFG..that’s it! Foundation is KEY! Find someone who sees where you are going..not where you are. https://simplypianostudio.com/wp-content/uploads/2016/08/SimplyPianoLogo_Large-300x90.jpg 0 0 andrea https://simplypianostudio.com/wp-content/uploads/2016/08/SimplyPianoLogo_Large-300x90.jpg andrea2017-06-16 23:04:442017-06-16 23:04:44How to choose the perfect piano teacher for a beginner!